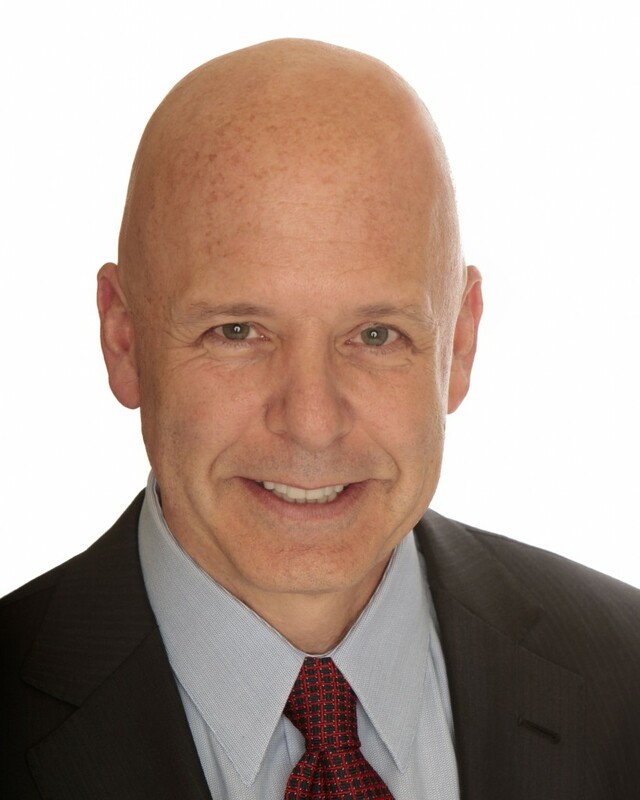 This article is part of our Top CX Experts Series. 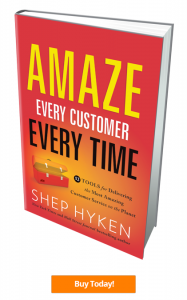 We recently sat down with Shep Hyken, author of Amaze Every Customer Every Time: 52 Tools for Delivering the Most Amazing Customer Service on the Planet to delve deeper into the themes and examples found in his new book. Shep has helped a wide variety of companies achieve the customer experience results they’ve been looking for by sewing the seeds of lasting relationships between employees and customers. Why did you choose Ace Hardware as the perfect example for how to improve customer experience? I wanted to do something a little different with my latest book. Ace Hardware has been recognized by Business Week as one of the top 25 customer service brands––an interesting pick when you consider their relatively low profile as a home improvement and hardware retailer cooperative. While Ace Hardware is a multi-billion dollar corporation with 4,600 store locations, they have roughly 3,000 individual storeowners that comprise their cooperative. I saw this as a great example of a business using both big and small ideas into a company able to contend with even bigger industry heavyweights—Ace Hardware offers a customer experience that goes beyond surface-level satisfaction factors that the bigger companies usually don’t get past. Although customers know they can browse a potentially bigger inventory at a larger retailer, the depth of Ace Hardware’s customer experience goes further than simply showing you where to find a product in the store. Customers know they can often get help finding other materials related to their project and receive valuable advice they wouldn’t normally get elsewhere. Would you please talk a bit about what it means for everyone within your company to take on a leadership role, and how doing so shapes a great customer experience? When it comes to real leadership, titles are just titles—everyone must be a leader regardless of where they are on the company ladder. You really don’t need a title to be a leader. Providing a quality customer experience is just as much an internal task as an external one. Being able to count on your fellow associates to contribute to the greater goal of satisfying your customers means that everyone must consider themselves leaders in their respective areas. In Amaze Every Customer Every Time, you write about how Disney encourages their theme park staff or “cast members” to view customer service as “performance” or “theatre.” How does performance fit into creating a culture of amazing customer experience? Scott McKain wrote a book about this idea in particular that I really love called All Business Is Show Business. The idea of associating traditional business to show business is a great way of conceptualizing company-to-customer interactions. Connecting with customers is very much a performance. “Performance” in this case doesn’t mean acting––it’s delivering the professional presentation you’re qualified to deliver in the most effective way possible. Company performance is very much like what athletes do each time they take the field. Homeruns and sold out stadiums aren’t achieved through mediocre performances. No matter what outside problems could potentially get in the way of contributing 100% to the company’s goal, performing your best means putting it behind you and delivering all you’ve got to give. How does creating an amazing culture for your employee base contribute to growing and retaining your customer base? Product value always comes first. The first step should always involve providing people with something they’re willing to pay for. The question then becomes, who are they going to buy it from? Why should they buy it from you? After you’re confident in what you’ll deliver, it’s critical to step back and seriously consider how you’re going to run your company in order to make quality customer experience a priority. The first step almost always revolves around hiring process. In order to win the customers over, you need to find people with the right attitude, skills, etc. The employees really deserve the lion’s share of your focus if you intend to give customers what they really want from their shopping experience. If employees are happy, they’re motivated to convey that attitude to the customer. Once your customers are happy, you can count on them to shop with you again in the future. Simply put, a healthy company culture begins with your associates. When associates feel fulfilled and they know that their company appreciates their talents, associates are much more inclined to get excited about what’s coming next. Much of my new book focuses on utilizing what you’re best at and contributing those talents in the most mutually beneficial way. These internal components shouldn’t be regarded as entirely internal––the customers on the outside are always feeling what’s happening on the inside of a company. One of the most compelling ideas I took away from Amaze Every Customer Every Time was to “create a demanding customer.” Would you please speak a bit about what doing so might mean for your competitors? When people imagine a demanding customer, they tend to think of someone whining about being dissatisfied. This is a dangerous and shortsighted way to look at it. If my customer leaves for a competitor, they’re going to demand the same level of service I gave to them. If you’ve set the customer service bar higher than your competitors, the customer will appear demanding when they expect more out of companies providing less. Ultimately, their dissatisfaction will lead them back to me. What’s the difference between “customer service” and “customer experience?” Where are the two ideas headed in the future? While the customer might be inclined to view the terms interchangeably since they see their experience as a sort of service itself, companies should think of customer service as just one of many customer experience components. Aside from customer service, much more goes into the total experience, which may not be immediately apparent to customers. A good way to think of customer experience is to map your customer’s journey when they interact with your company. This way, you’ll be able to spot exactly what aspects are strong and which may need improving. Maybe your customers are having a wonderful experience with your friendly in-store staff but, for example, they’re dismayed when they receive an inaccurate invoice. After calling customer service, they’re delighted by the fast and efficient assistance they receive and ultimately regain their confidence in the company.